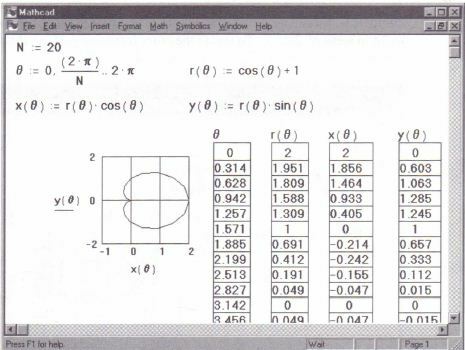 The simplest kind of iteration in Mathcad is just a generalization of scalar calculations. 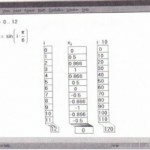 Any calculation you can perform once, you can perform over a range of values. 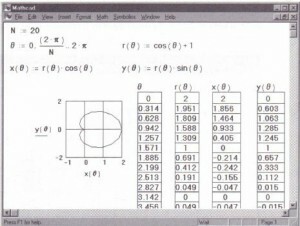 • For each 8, the corresponding r is given by r = cos (8) + 1 . • For each rand 8, there is a corresponding x and y given by x = r- cos(8)-and y = r· sin (8) . 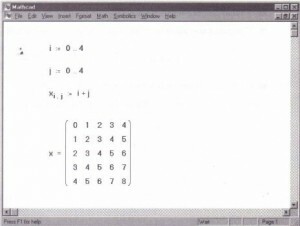 The strategy for solving this problem is simple: create a range variable i and then compute e, r, x, and y for each value of i. 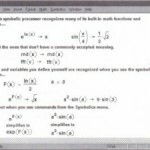 The formula for ei defines e to run from 0 to 21t in steps of 21t/ N. To create the other formulas, just put the subscript i on each variable in the formula. Figure 11-6 shows the result. Using iteration to create a draw apolar curve using an X-Y plot. Notice that in this example i, not e, is defined as the range variable. Since i takes on only whole-number values, it is a valid subscript. On the other hand, e takes on fractional values. It therefore cannot be used as a subscript. In many cases, you can avoid this extra step by using functions instead of vectors. 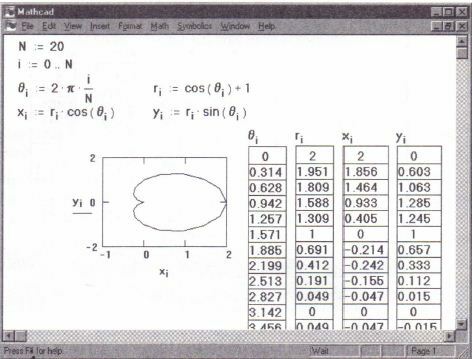 Figure 11-7 shows how to generate the cardioid shown in Figure 11-6 with functions instead of vectors. 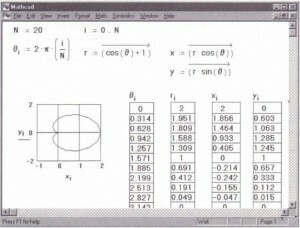 Using a function to do the same thing as shown in Figure 11-6. Using the vectorize operator to create a polar plot. 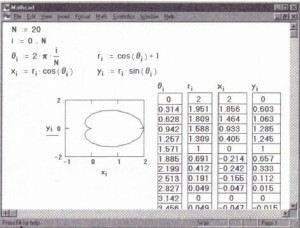 Figure 11-9 shows the result of typing the above equations. It is usually best to display the matrix in the form shown in Figure 11-9. 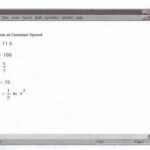 If instead of typing x= you were to type x [i, j =, Mathcad would show one long output table with 25 numbers. Such a table is often difficult to interpret. A similar problem arises when you use a pair of range variables in a graph. 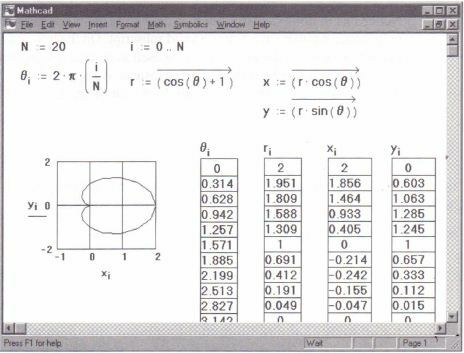 The Xi,j equation is evaluated for each value of each range variable, for a total of 25 evaluations. The result is the matrix shown at the bottom, with 5 rows and 5 columns.The element in the ith row andjth column of this matrix is i +j .